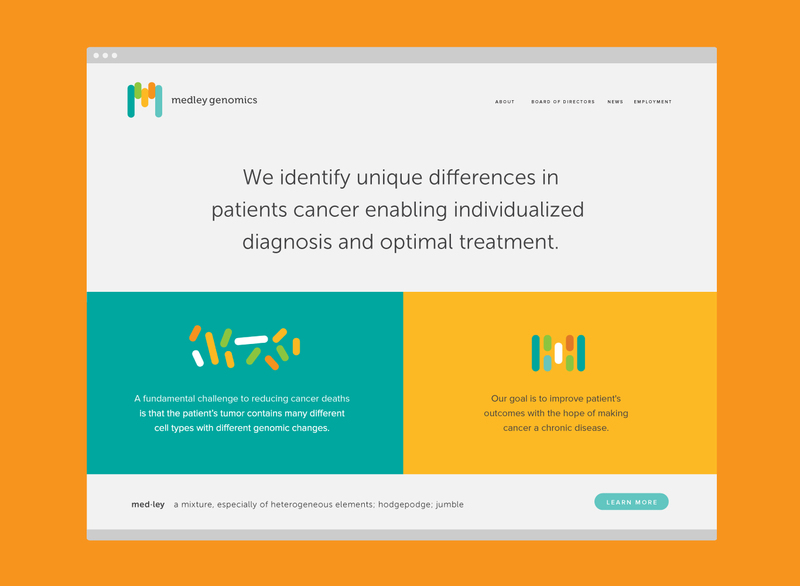 Medley Genomics is a health and life sciences startup that uses data to provide the unique ‘molecular fingerprints’ of a patient’s cancer enabling individualized diagnosis and optimal treatment. Studio Rainwater worked with Medley to design their brand identity as part of an effort to grow awareness for their work and attract investment capital. 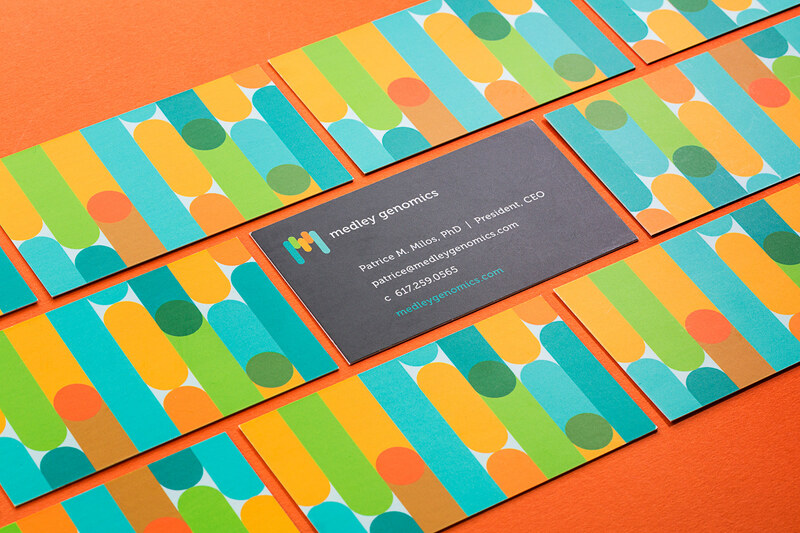 The elements of the logo are deconstructed and reorganized through their brand collateral to create a sense of excitement around their work and represent their study of genomic heterogeneity. While still growing, in its first 2 years the company received a number of awards and secured funding, including winning the grand prize Pistoia Alliance 2017 President’s Startup Challenge, being selected for one of 9 spots from among 200 applicants for the Philips HealthWorks Startup Program and being awarded a grant of almost $300,000 from the National Cancer Institute. Medley Genomics was recently named Most Innovative Company in Health and Biotechnology by Providence Business News.